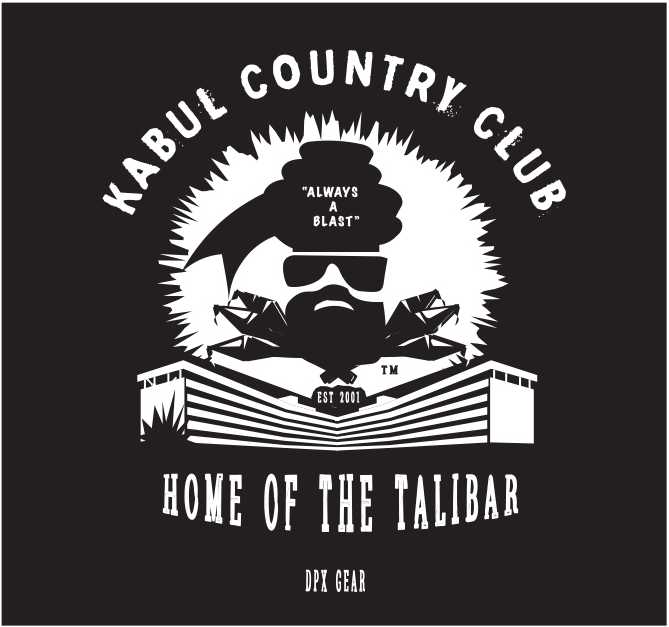 San Diego, CA – March, 18, 2019 – DPx Gear has released the classic Kabul Country ClubTM logo apparel. This is second in a series of classic designs to be featured that represent the hostile environments that inspire and test DPx Gear products. 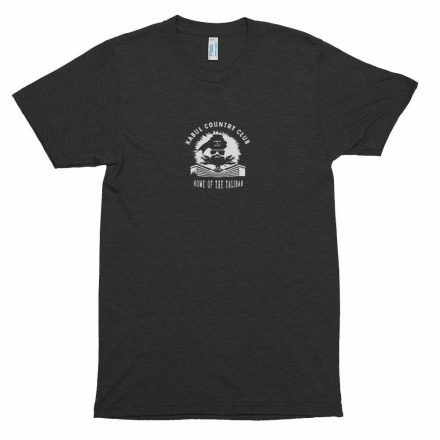 Like the Mogadishu Yacht Club line before it, t-shirts will be available in multiple sizes, styles and colors ranging from XS to XXL and start at $33.50. Sleeveless, long sleeved and short sleeved variations in addition to hooded sweatshirts are made in the USA by American Apparel and sweat shop free. The Kabul Country Club logo and concept was designed by Robert Young Pelton for DPx Gear. 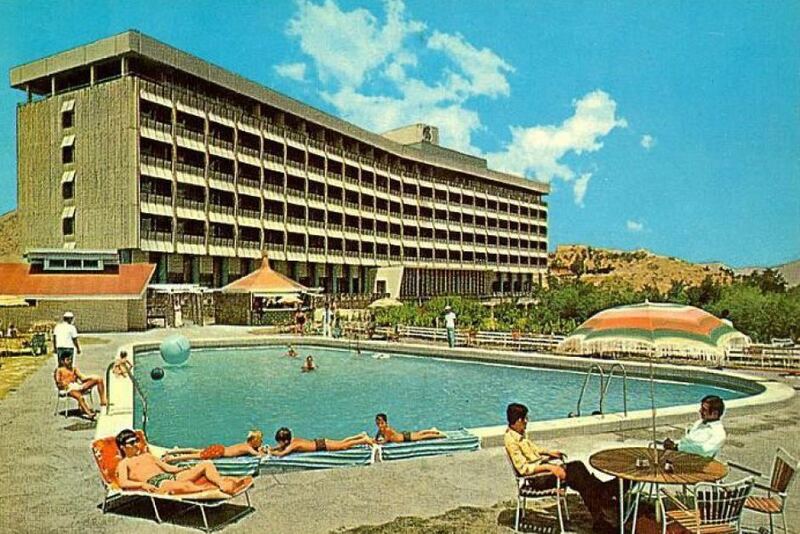 It is inspired by the actual Intercontinental Hotel and the Kabul Golf Club in Qargha, Afghanistan. Pelton has stayed there multiple times and has been a visitor since 1996. The logo pays homage to the classic 60’s tourist destination, once advertised as “the Switzerland of Asia” and commemorates the Afghans that have been in Kabul through decades of war. “Kabul still has remnants of the grand old days and I created a logo to honor and remember those tough-as-nails Afghans,” says Pelton of the logo. The golf course and hotel have seen many regime changes since its opening in the late sixties. Mohammad Afzel “Abdul”, who was arrested twice for the crime of golf, has been the manager and golf pro at the course since the late 70’s and embodies the “tough-as-nails” Afghan persona. The hotel made news recently when it was attacked in 2018. Pelton’s favorite room on the third floor of the hotel was blown up. They may be disheveled versions of their once glorious selves, but the mystique of the hotel and golf course live on through the logo. More items such as mugs, hats, and a restocking of patches and shot glasses will be added to the product line up as it is expanded. This entry was posted on Monday, March 18th, 2019 at 17:55	and is filed under Clothing, Morale, Press Release. You can follow any responses to this entry through the RSS 2.0 feed. Both comments and pings are currently closed.